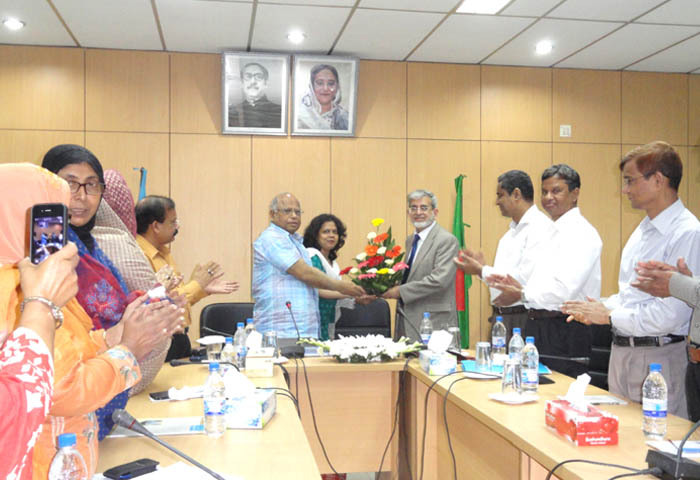 The Bangladesh Council of Scientific and Industrial Research (BCSIR), which join ed the Network of Centres of Excellence of COMSATS in 2011, hosted the first visit of the Executive Director COMSATS, Dr. I. E. Qureshi, from 1st to 3rd April 2014. The invitation was extended by the Chairman BCSIR, Prof. Dr. Ahmad Ismail Mustafa, in order to give the Executive Director an opportunity to meet the scientists of BCSIR and have the first-hand understanding of their working environment. The visit comprised of five activities spread over two and a half days: (i) meeting with the senior officials of BCSIR; (ii) address to BCSIR Scientists and Q&A session about COMSATS; (iii) visit to selected laboratories of Dhaka-based Institutes of BCSIR; (iv) meeting with the State Minister for Science and Technology; and (v) meeting with the Vice Chancellor of Dhaka University. The afternoon of 1st April was devoted to consultations of the Executive Director with the Chairman, Members and other senior officials of the Council, during which the Executive Director answered a number of questions related to the details of COMSATS’ operations. A general presentation on BCSIR’s structure and programmes in the context of its historical evolution was given by a senior officer in order to elaborate the Council’s role in meeting the developmental requirements of Bangladesh through R&D in relevant scientific fields. The twenty thrust areas in this respect, including chemical metrology, microbiology, nanotechnology and renewable energy, are being pursued by BCSIR in its three full-fledged multi-disciplinary regional laboratories and five mono-disciplinary institutes. On the second day of his visit, Dr. Qureshi made a power-point presentation on COMSATS and its role in providing opportunities of capacity-building and South-South cooperation in S&T. 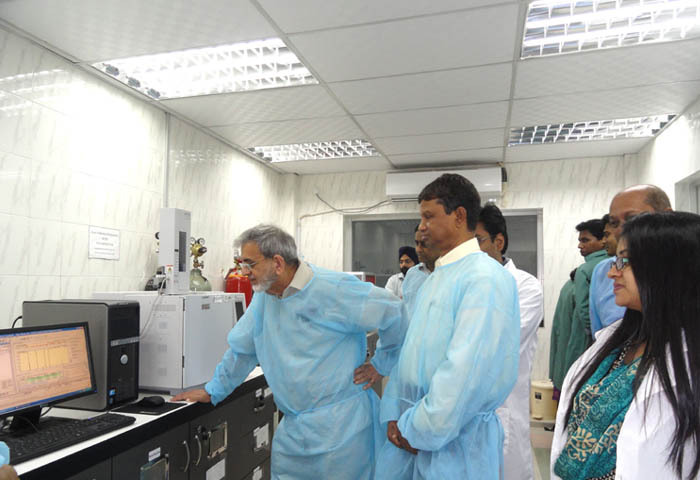 Later, a tour of selected laboratories was conducted for the visiting Executive Director for him to observe the laboratory conditions and exchange views with working scientists and technicians. Some of the most conspicuous aspects observed during this tour had been: (i) the excellent layout of all laboratories and the availability of latest equipment in fully working conditions; (ii) enthusiastic staff comprising of mostly young scientific workers with almost equal gender distribution; (iii) appropriate ratio of analytical services provided to industry and commercialization of completed projects, through pilot studies; (iv) training of in-service staff and university students; and (v) applied research for S&T-based indigenous solutions for meeting the national needs. 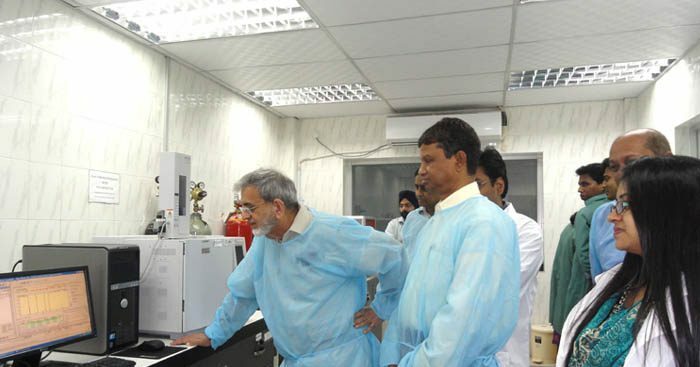 A couple of laboratories were visited on the last day of the visit, however, the main engagement on that day was the meetings with the Additional Secretary, Ministry of Science and Technology, and the honorable State Minister for Science and Technology, Government of Bangladesh, His Excellency Mr. Yafesh Osman. The Executive Director briefed the State Minister about the unique features of COMSATS as an Intergovernmental organization, such as the mechanism of South-South S&T Cooperation through a Network of Centres of Excellence; hands-on serial training workshops on topics of crucial importance to the developing countries; the establishment of a high-ranking public-sector University; and dissemina tion of S&T-related information through its various publications. 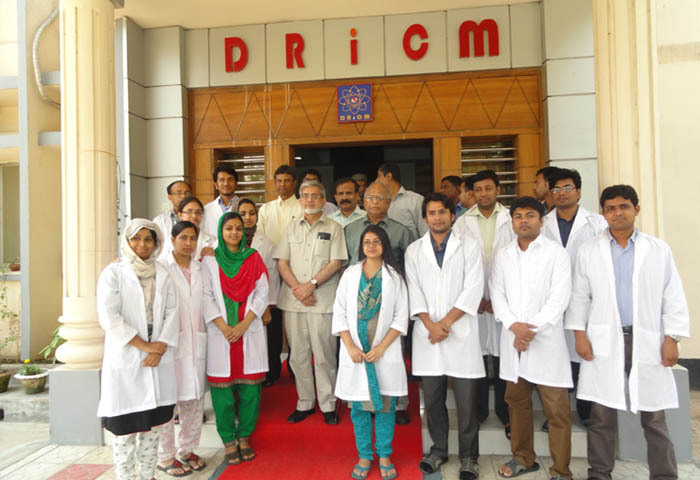 Dr. Qureshi also informed the State Minister about his personal impressions after visiting Dhaka-based BCSIR laboratories, which in his opinion were so well-organized that in some cases, like Centre for Chemical Metrology, these were found to be at par with the laboratories in advanced countries. The State Minister was pleased to hear these comments and expressed the resolve of his Ministry to invest in developing strong S&T infrastructure in the country. He informed Dr. Qureshi that the Ministry met the requirements of BCSIR by providing latest high-tech instruments through its own national budget instead of relying on foreign aid. The meeting with the Vice Chancellor was arranged through the courtesy of the Chairman BCSIR. During that meeting, mainly the academic strengths of CIIT were elaborated by the Executive Director in his capacity as the Chairman Board of Governors of CIIT. 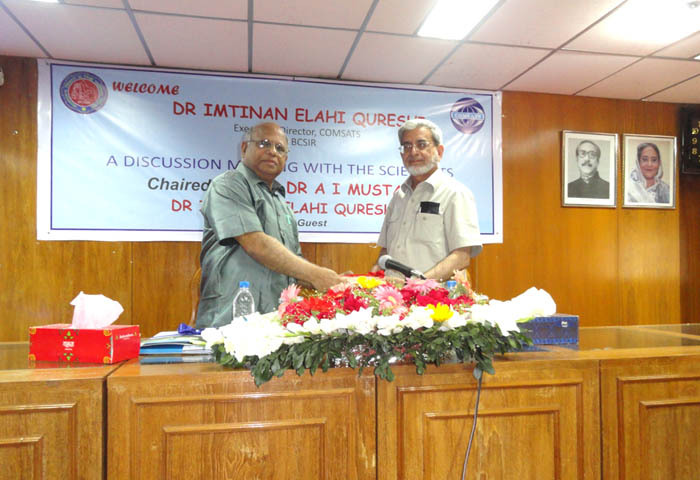 The parting exchange of remarks by the Executive Director and the Chairman BCSIR along with his senior colleagues took into account the wide scope of benefits available to the scientific community of Bangladesh through the platform of COMSATS, and the desirability of close contacts between COMSATS and BCSIR. The Executive Director’s expression of gratitude for the exceptionally cordial hospitality extended to him was reciprocated by the Chairman BCSIR through his statement that Dr. Qureshi’s visit was a source of inspiration for him and his colleagues.